Swiss meringue is a stable, fluffy frosting that only requires a few ingredients and a smidge of patience, but results in something that’s spectacular. It’s reminiscent of a marshmallow with a spreadable consistency. The biggest difference between Swiss meringue and other meringues is the way it is cooked. You start by gently warming egg whites and sugar over a warm water bath, and stir until the sugar is dissolved. Undissolved sugar can result in a grainy meringue, so rub a little between your first finger and thumb to test. If it feels smooth with no grains of sugar, it’s ready. Then you just whip this mixture in a stand mixer until it forms bright white, fluffy peaks. As long as the sugar is dissolved, it’s a pretty foolproof method! If you’d like to flavor or add color to your meringue, add vanilla (or other flavor extracts) or a few drops of food dye or gel once the meringue reaches a medium-soft peak, and then continue whipping. I love Swiss meringue for its versatility. It can be used to frost a cake (like this one), and it also pipes beautifully. You can bake by itself to make crisp meringues, use it to top a lemon pie and then brulée the edges, or whip it with softened butter for the silkiest (and in my opinion, best) buttercream. When used as a frosting on its own, it’s light and marshmallow-y, which makes it a great choice for when you want something that’s not too heavy—like for a picnic or cookout on a hot summer day. Swiss meringue is also very stable and will hold well, even in warm weather. For maximum fluffiness and marshmallow-ness, I prefer to make my Swiss meringue the same day I plan to frost and serve my cake. It will lose its fluff and become soupy once refrigerated or frozen, so it’s best not to make or store it ahead of time. This said, you can assemble and frost your cake or cupcakes the night before and refrigerate overnight. I find that the frosting holds up pretty well this way, though it may lose a little density and become more foamy than marshmallowy. This recipe makes enough to frost a 3-tier naked cake (as in, just filling and top, no sides) or about a dozen cupcakes. Double the recipe if you’re planning to both fill and frost a layer cake. 1 Combine egg whites through salt: In the bowl of a stand mixer, combine the egg whites, sugar, and salt. 2 Dissolve the sugar into the egg whites: Bring a saucepan with a few inches of water to a simmer. Set the mixer bowl over the simmering water, making sure the water does not touch the bottom of the bowl. Continuously, but gently, stir the mixture until the egg whites are very warm to the touch and the sugar has dissolved, about 4 minutes. Test this by dipping a finger into the mixture and rubbing it between your fingers—the mixture should no longer have any grains of sugar in it and should be very warm to the touch. 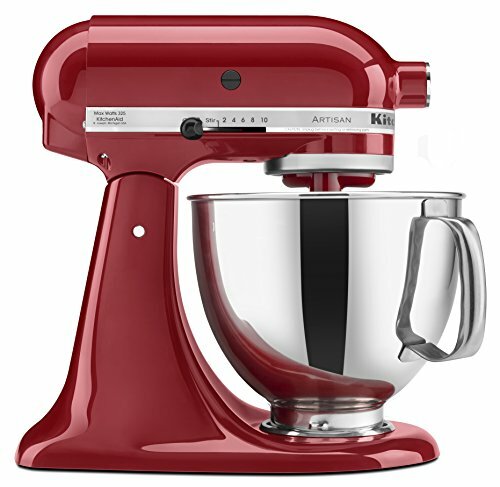 3 Beat the meringue: In the bowl of a stand mixer fitted with a whisk attachment, beat the meringue on medium-low speed until foamy, about 2 minutes. Gradually increase the speed and beat until you achieve a stiff peak that droops only slightly when you lift up the whisk, and the bottom and sides of the bowl no longer feel warm to the touch, about 4 minutes. Add the vanilla extract and beat a few seconds to mix it in. 4 Using your Swiss meringue: Swiss meringue is best when used immediately and served the same day. Do not refrigerated it in bulk or it will lose its lightness and become weepy. However, you can frost your cake or cupcakes and refrigerate overnight if needed; the meringue will be less airy the next day, but still fine. Hello! All photos and content are copyright protected. Please do not use our photos without prior written permission. If you wish to republish this recipe, please rewrite the recipe in your own unique words and link back to How to Make Swiss Meringue on Simply Recipes. Thank you! Hi, May! Sure, you can add cocoa powder! Add it while your meringue is a little on the soft side because cocoa powder will cause it to thicken up quite a bit. Enjoy! Can i use it directly on vanilla sponge available in stores?? Hi, Sangeetha! Yes, you can absolutely use this recipe with store-bought cake. Enjoy! I would like to make this and then bake it to make it crispy. Would I follow the same directions as other meringue recipes?